In the face of change, companies look for flexible and scalable ways to manage ICT infrastructures, without compromising on security and reliability. Increasing levels of regulation are making significant demands on how companies store and manage their growing volumes of data. Taking advantage of colocation facilities in an advanced data centerprovides high levels of security, helping you meet changing requirements for compliance and data protection. Professional data centers can also help you address new corporate responsibility requirements around sustainability by delivering efficient power and cooling with minimum environmental impact. Growing enterprises must either build new data center space in-house to accommodate greater demands, or support redundant space that allows for growth. Third party data centers allow you to pay for the space you need and scale only as required. The costs of security and data center technology are shared with your colocation partner, while costs are further reduced by innovations in efficiency, such as advanced power management. 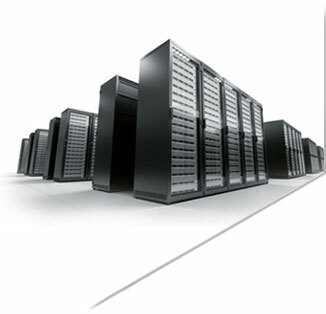 CWSSecureDrive is a leading provider of state-of-the-art carrier-neutral and cloud-neutral data center backup & storage. There are 32 data centers in 13 cities across North America and 11 European countries, each with a full range of power connections and backup, cooling, fire and water detection, and multi-layer security to protect customer data. All data center Information Security Management and Business Continuity Systems are certified for ISO 27001 and BS25999. Our secure data centers located the United States, Austria, Belgium, Denmark, France, Germany, Ireland, Netherlands, Spain, Sweden, Switzerland, and the United Kingdom. This international presents guarantees our clients that their Mission Critical data is always safe, secure and recoverable where ever they are located throughout the world. Guaranteeing our clients that their Mission Critical data is always safe, secure and recoverable where ever they are located throughout the world. 10Gbit/sec backbone and 12Gbit/sec of IP transit to the Internet; Internet bandwidth provided over diverse links. CWSSecureDrive equipment is powered by 100% renewable energy and we’re committed to the use of sustainable energy.